At least 72 fighters were killed in a single day as the Syrian army battled to relieve some 250 besieged regime loyalists under rebel assault, a monitoring group said Monday. President Bashar al-Assad had personally pledged to rescue the trapped troops and civilians, who are said to include senior figures and have been holed up in a hospital complex since rebels captured the northwestern town of Jisr al-Shughur two weeks ago. As the relief column fought its way to within two kilometres (just over a mile) of the complex on Sunday morning, the rebels launched an all-out assault, the Syrian Observatory for Human Rights said. At least 40 rebels and 32 government troops were killed in the heavy fighting that erupted inside the complex and with the advancing column, Observatory director Rami Abdel Rahman told AFP. The clashes continued into the early hours of Monday with the rebels retaking some ground from the advancing troops before being pushed back. Among the 250 people holed up inside the complex are around 150 government troops, including "high-ranking officers," as well as their family members and some civil servants, Abdel Rahman said. It is unclear how much food and ammunition they have left. The rebels assaulting the complex include fighters of Al-Qaeda affiliate Al-Nusra Front. 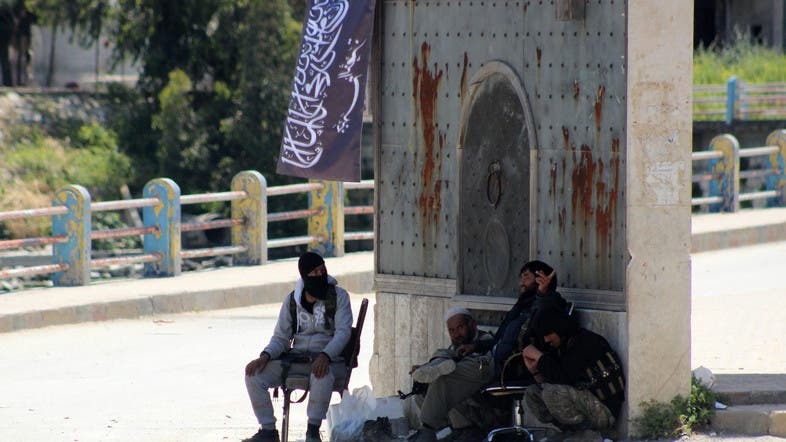 They seized the rest of Jisr al-Shughur on April 25, extending their gains in Idlib province, where they have also captured the provincial capital and a military base in recent weeks. More than 220,000 people have been killed in Syria since anti-government protests broke out in March 2011 spiralling into civil war in the face of a bloody crackdown by security forces.